All plants require nutrients in order to grow strong and healthy. Upstate NY features a very unique and diverse landscape and whether you live in an urban area like Albany, Troy or Schenectady or a suburban area such as Saratoga, Clifton Park or Malta, nutrient deficiencies can pose a very real threat to the health of your trees. As such, tree and deep root fertilization are a vital part of maintaining the beauty of your landscape and can help ensure your trees enjoy a long, healthy life and pleasing appearance for years to come. Deep root fertilization is a process that helps provide essential nutrients to the root zones of trees and shrubs. When living in an urban or suburban environment, trees on your property are forced to compete for nutrient supply and water with turf and other vegetation. Combine this with other stresses from factors such as compacted soils, root space infringement and weather patterns such as drought, and your trees and landscape can suffer serious health problems. Deep root fertilization is needed seasonally during the fall, when plant roots absorb nutrients that will be used during the initial growth period in the spring as well as in the spring, when plant roots absorb nutrients that it will use throughout the growing season. 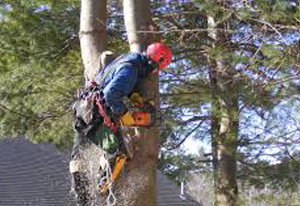 While there are many sources out there that will claim you can do it yourself, deep root fertilizing of trees and shrubs should only be performed by a trained professional or experienced arborist like those at Adirondack Tree Surgeons who possess the knowledge and skills necessary to ensure the process is completed efficiently and effectively. A professional will know which fertilizers are right for your landscape and can recommend the best treatment for your landscape’s specific needs. 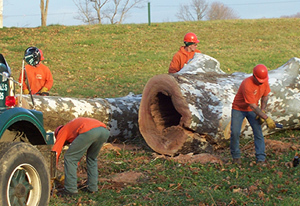 Professional arborists are trained to take into consideration variables such as tree species, soil conditions, tree age, tree health, tree location, weather and stress conditions that will factor into the tree fertilizer that they develop for your property. Contact the professionals at Adirondack Tree Surgeons today at 518.792.2225 or use our contact form for more information about our deep root fertilization services.